I, on the other hand, can’t listen to a book. I have to hold it in my hands. Much prefer print to digital, but even digital is better for me than audio. You might not be me. Yes, I checked. You’re not me. 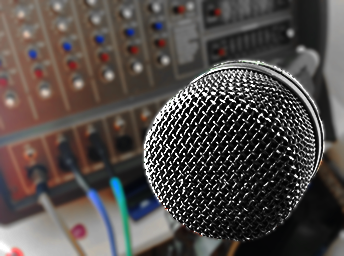 Are you interested in audio versions of my books? I have my own recording studio. I have 45 years of training in public speaking and reading just the way an audio book should be read, so I have the wherewithal. I’d enjoy doing it, and probably will, just for fun. But is it worth bumping it up on the to-do list, get it done sooner than later? After all, giving to you is one reason I write. 6 Comments on Anyone After Audio? You can get digital preorders for Kindle or other ereaders. The print version will be ready soon and can be preordered here at my site. 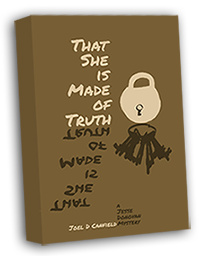 Newsletter members will get one more chance to preorder That She Is Made of Truth at an even lower price than those special preorder prices. Sign up if you want in on the fun. Long hard week so I’m putting it all on you: first person to leave a comment with the color of the cat in my children’s book gets a free digital copy of it. I think a week is long enough to wait. No one? Okay. Maybe next time. To put it officially: this offer has expired, eh?